CarGurus has 25,186 nationwide Murano listings starting at $1,999. Its unique body shape and roofline definitely catch your eye, but the 2005 Nissan Murano crossover SUV also has a lot to offer in terms of space and performance. 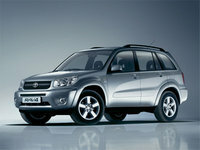 It seeks to meet a growing need for SUV capability combined with car-like handling, behavior, and low-step in height. New in 2005, the Nissan Murano gets a new trim, the base level S. This joins the sporty SE and luxury SL, and all feature a 3.5-liter, 245-hp V6, an engine shared by the Nissan 350Z sports car. Of course, the Murano is a bit heavier, but the engine power is sufficiently fun. All trims come in either front-wheel or all-wheel drive on 18-inch wheels. A CVT transmission, for imperceptible shift feel, is standard. Also new in the 2005 Murano is a rollover sensor on the side curtain airbags. Dual front and front side impact bags are also standard. Though the 2005 Murano only has two rows of seating for five, it uses the extra room of an absent third row to provide more legroom to rear passengers and allow the seats to recline. The seats also fold flat, and there are many storage compartments and hidden niches to discover years-old Cheerios remnants from your kids. The new S model is well equipped with power features, ABS brakes, cruise control and a rear spoiler. SE trim gets a sports suspension and a manual shift mode on the CVT, along with lower bumpers. The SL is the top-of-the line luxury trim. Lots of room to stretch your legs contributes greatly to the comfort of the 2005 Murano, say owners. 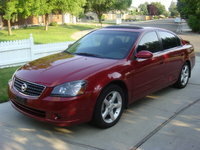 The handling is precise and car-like and the CVT is smooth. Owners love the overall look of the Murano, and particularly like the navigation system feature. 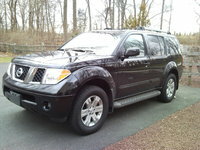 Drawbacks include a somewhat harsh ride, poor cupholders, and several major blind spots. 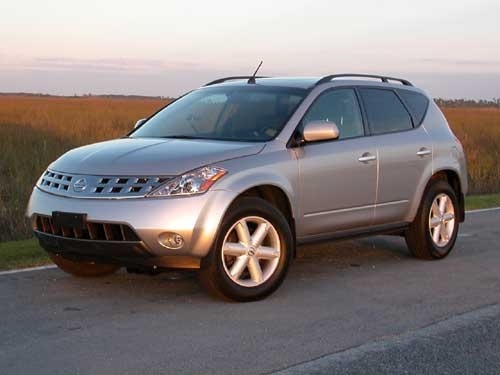 What's your take on the 2005 Nissan Murano? Users ranked 2005 Nissan Murano against other cars which they drove/owned. Each ranking was based on 9 categories. Here is the summary of top rankings. 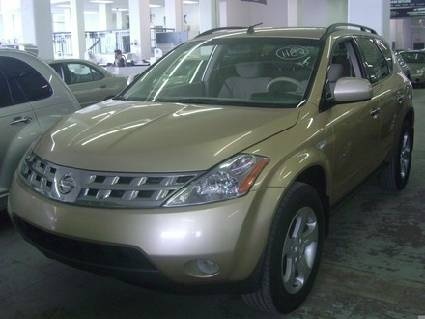 Have you driven a 2005 Nissan Murano? How many miles can I expect to get out of a 2005 Nissan Murano SL AWD?